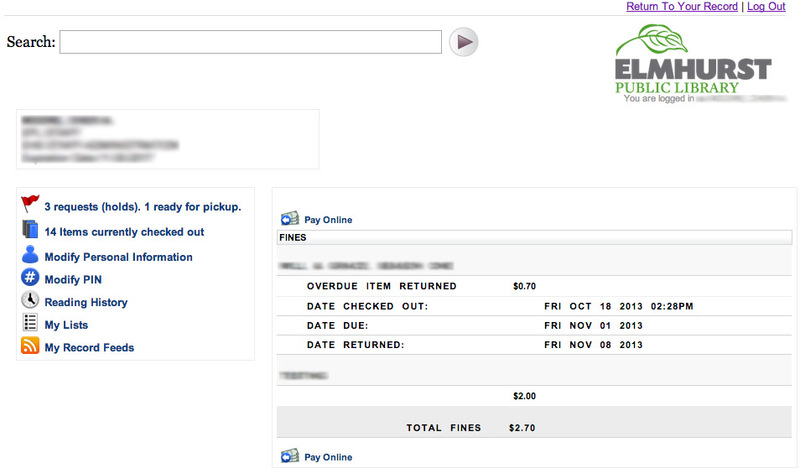 To pay fines online, your fines must total at least $2. If they are less than $2, you will need to pay them in person at EPL. 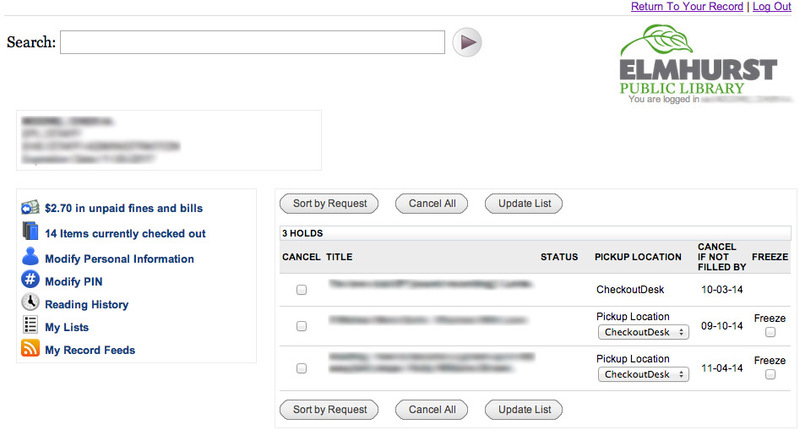 Open My Account in a new browser window. Check the fines you would like to pay. Follow the prompts to enter your card information and process. Note: A credit card (Visa, Discover or MasterCard) is required for online payment. A confirmation page will appear next. You can print a copy of your receipt at this time and/or click OK. If you have a valid email address, receipt of payment will be sent to the address you entered in the previous step.